Hooray for another Five Minute Friday! I love the weekly challenge of coming up a project that can be replicated in 5 minutes or less. As I’ve said before, with five minute cards, you can’t use every supply you own. That really helps when it comes to making these cards because you only want to use a few select items. My creative process starts with the stamp set when it comes to these cards. Then I pick a card base and colors. I am a big fan of having a bunch of card bases all ready to go. You can read here where I talked about how I did this. These are my go-to colors when I making cards. 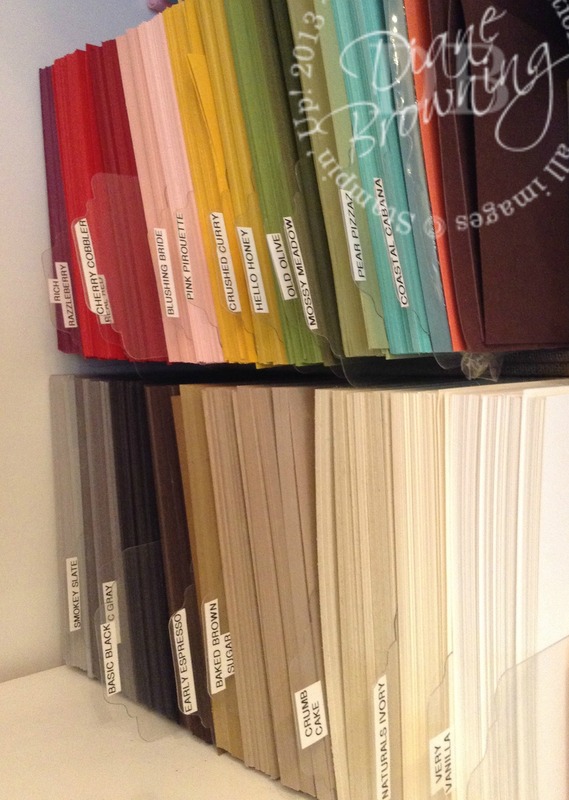 I do make cards in other colors, but this is what I use most often and therefore found it useful to have a stack pre-cut and ready to go. So far, I have a stamp set, card base, and colors. Next up, punches. 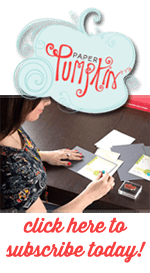 I find that using a punch is quicker than using die cuts so I tend to reach for those when it comes to quick and easy cards. Then I get out some ribbon and embellishments that will coordinate. When I start the card, I have only a rough idea of what I want it to look like. Usually I adjust as I go based on sizing or if it’s taking too long. I’m a strong believer in the “less is more” when it comes to cards. I really prefer the simplistic, clean look. 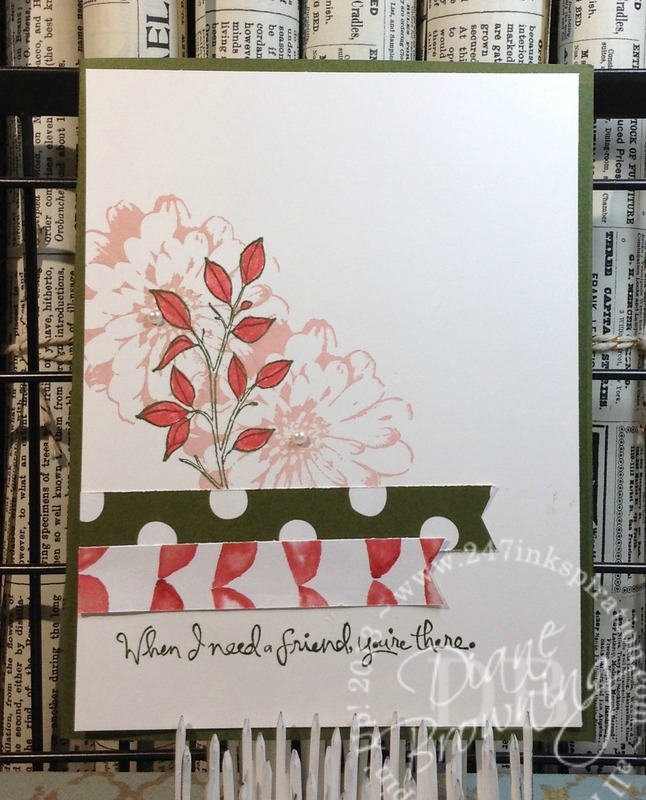 There is a time and a place for those over the top cards with tons of layers, but for my general stamping, I don’t usually do all that. I already shared all the little bits that went into making this card. And here’s the final card! Do you have a stamp set you’re struggling with? Tell me what it is and I’ll see what I can come up with. I love a good challenge.